I'm currently out of town on business so i'm fortunate to have guest posters that can pitch in for me now and then. Today I feature a great article from Holly Watson on how to save a few dollars on your makeup purchases. The Mercedes Benz Fashion Week just closed the book on the next year in style and what a year it’s shaping up to be! Does anyone remember a while back when Italian designer Missoni cut a deal with Target that would provide lower-cost designer clothes to the retailer? Well during MCBW, that line debuted and ended up selling out in six-hours. Intrigued though I was, I knew it was hopeless to try to get myself a piece of the collection. But it highlights the fact that right now, high style for a bargain is something that’s defining our corner of society. It doesn’t just apply to clothes. It’s tough to keep all the best MACs, L’Oreals, and Cliniques in stock when student loans, rent and any and everything else pull money out of the purse. Though most makeup won’t cost you as much as a Gucci bucket hat would, irresponsible purchases could still break the bank. Over the past few years I’ve developed a few techniques that may be able to help you get the most out of your collection and add to it for less than retail. Read on! Looks like you’ve already got this one down! I’ve been tightening up my skills and checking into what’s new, thanks to Ren Ren for years. Blogs offer a chance for you to read up on new products, see how they actually look in videos, and sometimes even offer prizes! Good makeup and makeup accessories for free is a deal I can’t refuse! Blogs often get first crack at new products so the masses can know whether a brush or collection is really worth its salt before dropping cash on it. You can’t expect all blogs to offer great contests to win free wares, but you can sweep the Internet for deals online. 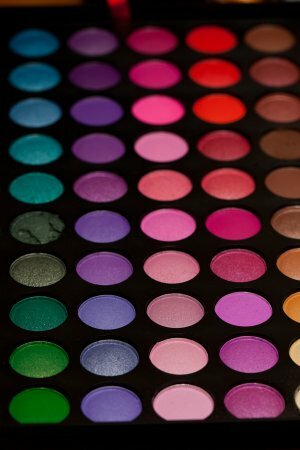 Sites like Makeup Outlet and eBay feature a good selection of products for less than retail. Of course you’ll have to sift through some bogus items (homemade palettes anyone? ), but if you stay on top of the latest products and trends, you’ll be able to separate the good stuff from the boo boo and find awesome discounts! Speaking of quality, it’s no secret that the better your makeup is, the longer it lasts – either because it’s supposed to, or you don’t want to use the nice stuff every day! Buying in bulk, or in huge 88-color sets is never really an option for me, so what I end up having to do is buy high quality stuff that will last me longer. Good primers will prevent makeup re-application and will save you time and loot in the long run. I may be preaching to the choir, but I know that I’ll take any advice I can get on getting discounts, deals or otherwise saving money while still looking fab. Does anyone else have any tips to contribute? About the Author: Holly Watson is a self-proclaimed fashionista. She is a make-up, soccer and health fanatic. You can follow her everyday mantras at Eat Breathe Blog. Thanks Holly! If you are interested in submitting a guest post, send me an email!